Are you concerned about security with your iPad? You can lock your iPad by adding a 4-digit passcode, a 6-digit passcode or an alpha-numeric password. Once a passcode is enabled, you will be prompted for it any time you use it. You can also choose whether or not to have access to Notifications or Siri while the iPad is locked. Should You Secure Your iPad With a Passcode? The iPad is a wonderful device, but like your PC, it can contain quick access to information you may not want everyone to see. And as the iPad becomes more and more capable, it also becomes increasingly important to ensure information stored on it is secure. 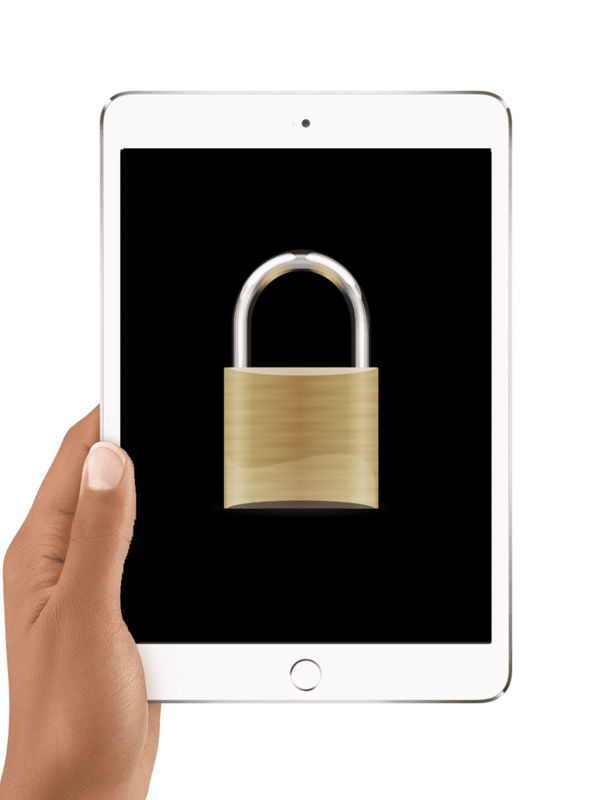 The most obvious reason to lock your iPad with a passcode is to stop a stranger from snooping around if you ever lose your iPad or it gets stolen, but there are more reasons to lock your iPad. For example, if you have young children in your household, you may want to make sure they don't use the iPad. If you have Netflix or Amazon Prime on your iPad, it can be easy to pull up movies, even R-rated movies or scary movies. And if you have a mischievous friend or co-worker, you may not want a device that can automatically log into your Facebook account lying around the house. First, you will need to go into your iPad's settings. You can get to these settings by clicking on the app icon that looks like gears in motion. Next, scroll down the left-side menu and tap Passcode, or if your iPad has a Touch ID sensor, tap Touch ID and Passcode. This will bring up the iPad's security settings. Tap Turn Passcode On. This option is in the middle of the screen. By default, you will be asked to enter a 6-digit numerical passcode. If you prefer a 4-digit code or you want to mix letters and numbers to create a better password, you can tap Passcode Options just above the onscreen numerical keyboard. Delete Saved Fingerprint? You may see this prompt after you tap Turn Passcode On. This simply means you have already stored your fingerprint for the Touch ID sensor. This is often done while setting up the iPad for the first time. If you don't remember the iPad scanning your fingerprint, you should choose the Delete option. Otherwise, tap Keep. One thing to keep in mind is what happens when you type in the wrong passcode. After a few failed attempts, the iPad will begin temporarily disabling itself. This starts with a minute lockout, then a five-minute lockout, and eventually, the iPad will permanently disable itself if the wrong password keeps being entered. You can also turn on the Erase Data feature, which deletes all data from the iPad after 10 failed login attempts. This is an extra layer of security for those who have sensitive data on the iPad. This feature can be turned on by scrolling to the bottom of the Touch ID and Passcode settings and tapping the on/off switch next to Erase Data. Siri. This is the big one, so we'll start with it first. Having Siri accessible from the lock screen is extremely useful. If you love to use Siri as a personal assistant, setting meetings and reminders without unlocking your iPad can be a real time saver. On the flip side, Siri allows anyone to set these meetings and reminders. If you are mainly trying to keep your kids out of your iPad, leaving Siri on is fine, but if you are worried about keeping your private information private, you may want to turn off Siri. Today and Notifications View. By default, you can also access the 'Today' screen, which is the first screen of the Notification Center, and normal Notifications while on the lock screen. This allows you to access meeting reminders, your daily schedule and any widgets you have installed on your iPad. It is also a good thing to turn off if you want to make your iPad completely secure. Home. If you have smart devices in your house such as a smart thermostat, garage, lights or front door lock, you can choose to restrict access to these features from the lock screen. This is very important to turn off if you have any smart devices that allow entry into your home. You can also set up restrictions for your iPad, which can turn off certain features such as the Safari browser or YouTube. You can even restrict app downloads to apps appropriate for a certain age group. Restrictions are enabled in the "General" section of the iPad settings.